Great place to call home. Nice community with easy access to Rte 1 for commuters. Great walkable community has tons of outdoor open space with walking trails, seating and play areas along the route. This spacious unit is fresh and clean ready for it's new owner! Freshly painted inside and out. Enter from the front porch which has built in planters ready for your beautiful spring flowers into the foyer area with stair access to the upper and lower living levels. Main level living area has a nice open floor plan which makes for a wonderful entertainment experience. Huge country kitchen is large enough to add a center island or seating if you choose. Stainless appliance package, ample cabinet/counter space, large picture window for natural lighting, pantry and breakfast bar. Formal DR is flanked by the kitchen and Living room areas seperated by large floor to ceiling columns which dress the area up a bit. Family room large enough for any size furniture and it offers sliders to the 2nd floor deck area, perfect for your outdoor BBQ's this summer! 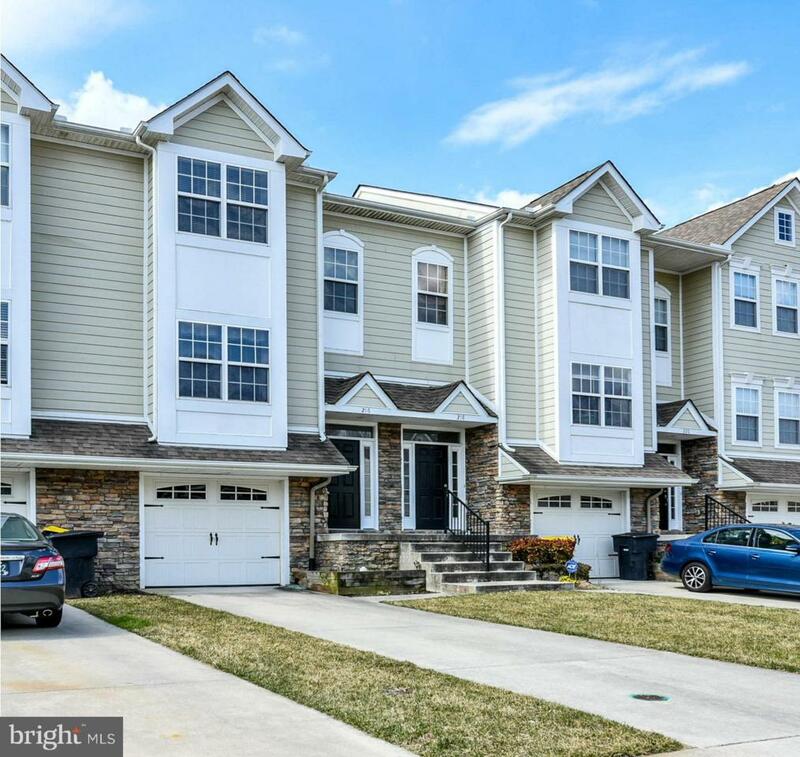 On the upper level you will find a large master suite with vaulted ceiling, bump out picture window perfect area for a window seat, walk in closet and master bath with shower stall, soaker tub, vanity and toilet. The main hall has linen closet and access to the full hall bath as well as the additional bedrooms (both with views of the common area for the community) each have spacious clostestoo. As if you needed MORE room...there is still the lower ground level basement area which houses a storage closet, washer/dryer hook ups and an unfinished room just waiting to become a 4th bedroom, playroom, den or guest bedroom! There is also a rough in ready for your future expansion should you decide to add a full or 1/2 bath. An added plus on this level is the slider to a rear patio which is covered by the deck area above. This is perfect to utilize the walking trail, play area and other community ammenities available. Additional storage can be found in the attached 1 car garage with opener which is accessible via the interior basement access door. The community provdies underground sprinkler systems and lawn maintenance to the community which helps keep the yards looking fresh and uniform year round and gives homeowners the free time to enjoy life! Hurry and grab this one up...this can be your home in 60 days or less!